Head lice are small insects that live on the hair on your head. Nits are the empty egg cases that head lice have hatched from. Head lice is a common but not serious health problem. They can affect anyone, but they're most common in young children between the ages of 4 and 14. Head lice only live on humans. You can pick up head lice from close head-to-head contact. This commonly happens within families or between children at school. Head lice can't jump or fly so they spread from person to person by crawling between their hair. Head lice can make your scalp (head) feel itchy. It can also feel like there's something moving in your hair. Some people don't have any symptoms. Also, an itchy scalp doesn't always mean you have head lice. Other conditions such as eczema or dandruff can also cause an itchy scalp. To be sure it's head lice, it's important to look for the lice and nits. Look behind your ears, on the top of your head and around the hairline at the back of your neck. The lice may be hard to see but the empty egg cases may be easier to see. They look like white grains. You can treat head lice without going to see your GP. Wash your hair then apply hair conditioner and don't rinse it out. While your hair is still wet, comb it with a fine-tooth comb. This is called wet combing. This factsheet from KidsHealth describes how to wet comb your child's hair. Wet combing is an effective way of physically removing the lice and nits. You can buy head lice shampoos from supermarkets and pharmacies. These contain an insecticide to kill the lice. Treatment usually needs at least two applications. Follow the instructions on the packaging. Some head lice shampoos are becoming less effective. Another treatment option is 4% dimethicone lotion that your GP can prescribe. This page explains how to identify head lice and nits, how to treat them and how to stop them from spreading. This page explains what head lice (also known as nits, kutis, kutu bugs and head louse) are. It also talks about how to check for them and how to treat them. This pamphlet contains similar information to the KidsHealth link above. But as well as reading online or printing, you can download a PDF or order a printed copy. Written by HealthInfo clinical advisers. Page created December 2018. DermNet NZ – Head lice, retrieved November 2018. 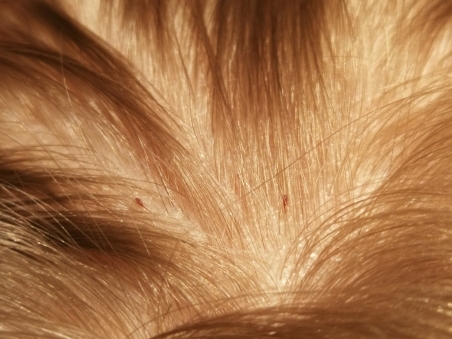 KidsHealth – Head lice, retrieved November 2018.